Love stories make for a great storytelling. Throw in two gay guys in a $10,000 reparative therapy program to turn them straight and a church wedding when they finally get out, and you have the makings of a great feature story. The Dallas Voice tells us the story of Larry and KC Jannson, who met in reparative therapy and are now living in suburban Dallas as a married (in Connecticut) couple. The story, by David Taffet, describes how the guys ended up in reparative therapy, the details of what the therapy entailed, and how they fell in love. The story does a really great job of describing the therapy from the perspective of the guys. The details really set the scene and you can get a real sense of both the therapy and the effect (or lack of effect) it had on the guys. For the first three days, they were not allowed to talk and always had to look at the ground. Each person was assigned a “house brother” who had gone through the program. That person, who was gay, had made it through the first three months to the next stage. The first night there was a meeting with the four new house members and their “big brothers.” Although they weren’t supposed to look at each other, Larry and KC kept making eye contact. There were no doors on the rooms and each room had three beds. Larry and KC were assigned to share a room. Bathroom time was limited to 15 minutes. They had to set a timer to make sure no one was spending too much time locked in there doing something they weren’t supposed to be doing. After leaving therapy, they reunite in Dallas and, after some tragedies, they marry. I love this detail, which describes the uniquely religion-drenched world of Dallas, even gay Dallas. 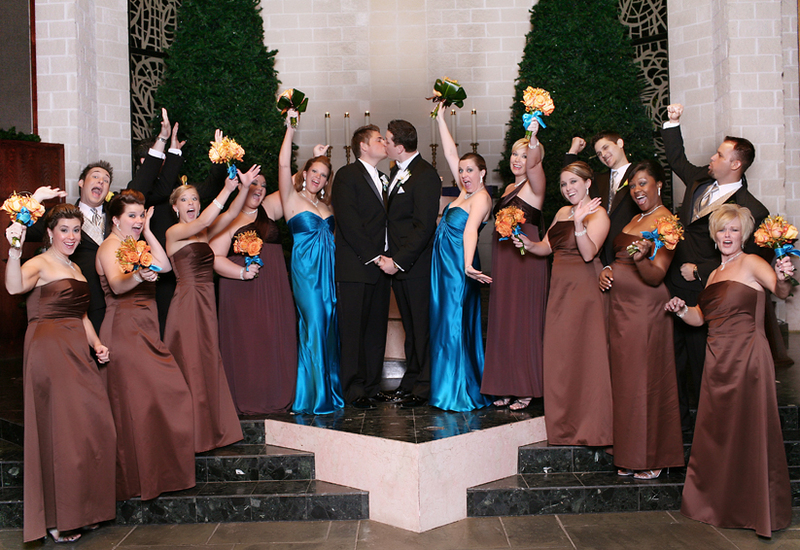 After getting the legal marriage in Connecticut, they came back to Dallas and had a church wedding. Mention the Janssons to Dawson Taylor, the pastor who married them at Cathedral of Hope, and he just laughs. He said he’s never met two people who are so perfect for each other and so in love. Taylor agreed and said that their wedding was as much a worship service as a marriage ceremony. Read the whole thing, and happy Valentines Day.